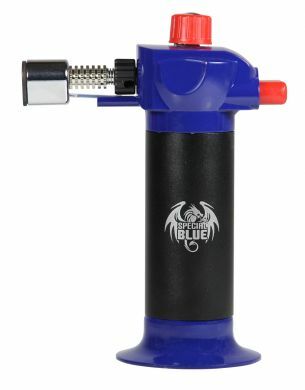 Our professional butane torches were created to be an effective tool in any kitchen. Caramelize sugars, brown meringues,skin tomatoes, sear meats and melt cheese safely and efficiently with any one of our beautifully crafted, professional butane torches. An adjustable flame control and safety lock makes our torches suitable for users of any skill level. The self-igniting Piezo trigger ignition system allows users to simply turn the adjustment flame control to open and then push the trigger to ignite the flame.